Vito Ferro is an Associate Professor in the School of Chemistry & Molecular Biosciences, a Deputy Director of the Biotechnology Program, and Director of the professional doctorate in biotechnology (DBiotech). His research interests are in the area of synthetic carbohydrate chemistry and drug design and development. Carbohydrate and medicinal chemistry with a particular focus on glycosaminoglycans, especially heparan sulfate, and their mimetics as potential drugs for a range of diseases including cancer, inflammation, viral infections and lysosomal storage diseases. Vito Ferro spent 12 years with the Australian biotechnology company Progen Pharmaceuticals, serving in various positions including Director of Drug Discovery. He has been a key player in the development of two of the only four heparanase inhibitors to have reached clinical trials: PI-88, Progen’s first in class heparanase inhibitor which recently completed Phase III clinical trials for liver cancer; and PG545. He led the medicinal chemistry team that discovered PG545, a potent anti-angiogenic and anti-metastatic agent currently in Phase I clinical development for cancer. 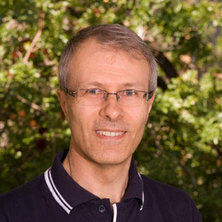 Following a brief period at Queensland University of Technology as a Principal Research Fellow he moved to his current position at the University of Queensland in 2010. His research interests are in carbohydrate and medicinal chemistry with a particular focus on glycosaminoglycans, especially heparan sulfate, and their mimetics as potential drugs for a range of diseases. He is also a member of the Australian Infectious Diseases Research Centre (AID), has published 60 papers in refereed journals and has 17 granted patents (pending in multiple jurisdictions). Hammond, E., Bytheway, I. and Ferro, V. (2006). Heparanase as a Target for Anticancer Therapeutics: New Developments and Future Prospects. In Maryse Delehedde and Hugues Lortat-Jacob (Ed. ), New Developments in Therapeutic Glycomics (pp. 251-282) Trivandrum, India: Research Signpost. Proteoglycans: Potential Agents in Mammographic Density and the Associated Breast Cancer Risk. Molecular basis for resistance of herpes simplex virus type 1 with glycoprotein H coding sequences deleted. Ekblad, M., Adamiak, B., Bergefall, K., Nenonen, H., Roth, A., Bergstrom, T, Ferro, V. and Trybala, E. (2007) Molecular basis for resistance of herpes simplex virus type 1 with glycoprotein H coding sequences deleted.. Virology, 367: 244-252. The synthesis of phosphorylated disaccharide components of the extracellular phosphomannan of Pichia (Hansenula) holstii NRRL Y-2448. Fairweather, J.K., Karoli, T. and Ferro, V. (2004) The synthesis of phosphorylated disaccharide components of the extracellular phosphomannan of Pichia (Hansenula) holstii NRRL Y-2448.. Bioorganic & Medicinal Chemistry, 12: 6063-6075. Ferro, V. and Don, R. (2003) The development of the novel angiogenesis inhibitor PI-88 as an anticancer drug. Australasian Biotechnology, 13 1: 38-39. Determination of the composition of the oligosaccharide phosphate fraction of Pichia (Hansenula) holstii NRRL Y-2448 phosphomannan by capillary electrophoresis and HPLC. Ferro, V., Li, C.P., Fewings, K., Palermo, M.C., Linhardt, R.J. and Toida, T. (2002) Determination of the composition of the oligosaccharide phosphate fraction of Pichia (Hansenula) holstii NRRL Y-2448 phosphomannan by capillary electrophoresis and HPLC.. Carbohydrate Research, 337: 139-146. Yu, G., Gunay, N.S., Linhardt, R.J., Toida, T., Fareed, J., Hoppensteadt, D.A., Shadid, H., Ferro, V., Li, C., Fewings, K., Palermo, M.C. and Podger, D. (2002) Preparation and anticoagulant activity of the phosphosulfomannan PI-88. European Journal of Medicinal Chemistry, 37: 783-791. Ferro, V., Li, C., Wang, B., Fewings, K., King, A.R., Hammond, E. and Creese, B.R. (2002) Synthesis of [14C]- and [35S]-labelled PI-88 for pharmacokinetic and tissue distribution studies. Journal of Labelled Compounds and Radio-pharmaceuticals, 45: 747-754. Ferro, V., Fewings, V., Palermo, M.C. and Li, C.P. (2001) Large-scale preparation of the oligosaccharide phosphate fraction of Pichia holstii NRRL Y-2448 phosphomannan for use in the manufacture of PI-88. Carbohydrate Research, 332: 183-189. Ferro, V. and Devine, P. (2001) Targeting glycosaminoglycan-protein interactions. Chemistry in Australia, 68: 18-21. Ferro, V., Weiler, L. and Withers, S.G. (1998) Convergent synthesis of a fluorescence-quenched glycopeptide as a potential substrate for peptide: N-glycosidases. Carbohydrate Research, 306: 531-538. Byrne L.T., Ferro, V., Stevenson, S. and Stick, R.V. (1994) Analysis of the 1H NMR spectra of some diethyl phosphonates. Magnetic Resonance in Chemistry, 32: 749-752. Ferro, V., Meldal, M. and Bock, K. (1994) Synthesis of 2'- and 2"-O-acylated maltotriosides as potential fluorescence-quenched substrates for alpha-amylase. Journal of the Chemical Society Perkin Transactions I, 2169-2176. Dredge, K, Davis, K, Liu, L, Johnstone, K, Handley, P, Wimmer, N, Bytheway, I, Hammond, E, Li, CP, Rowley, J, Ferro, V and Gautam, A (2007). Heparan sulfate mimetics - potent angiogenesis inhibitors for cancer therapy. In: AACR-NCI-EORTC International Conference: Molecular Targets and Cancer Therapeutics, San Francisco, CA, United States, (3339S-3339S). 22-26 October 2007. PI-88, a heparanase inhibitor showing promising evidence of patient benefit in phase II clinical trials. Gautam, AM, Ferro, V, Wilson, EA, Freeman, C and Parish, C (2005). PI-88, a heparanase inhibitor showing promising evidence of patient benefit in phase II clinical trials.. In: Clinical Cancer Research. AACR/NCI/EORTC International Conference on Molecular Targets and Cancer Therapeutics, Philadelphia Pa, (9037S-9037S). Nov 14-18, 2005. Creese, B., Ferro, V., King, A. R., Mardon, K. M., Dickinson, R. G., Punler, M.J. and Dodds, H. (2001). Pharmacokinetics of [35s] PI-88 in rats. In: Annual Scientific Meeting of ASCEPT, Dunedin NZ, (). 3-5 December 2001. Ferro, V., Karoli, T., Liu, L., Handley, P.N., Johnstone, K.D., Wimmer, N. and Hammond, E.T. (2009). Novel sulfated oligosaccharide derivatives. WO/2009/049370. Banwell, M. G., Bonnet, M., Ferro, V., Kreipl, A., Renner, J. and Offermann, D. A. (2006). Small molecule glycosaminoglycan mimetics. WO/2006/135973. Ferro, Vito, Fairweather, Jon, Karoli, Tomislav and Liu, Ligong (2005). Sulfated oligosaccharide derivatives. WO/2005/085264. Don, Robert Hugh, Ferro, Vito, Bytheway, Ian, Cochran, Siska, Fairweather, Jon Krueger, Hammond, Edward Timothy, Karoli, Tomislav, Li, Cai Ping and Liu, Ligong (2005). Glycosaminoglycan (GAG) mimetics. WO/2005/061523. Development of Pharmacological Chaperone Therapy for MPS II. Regulatory dissonance in the clinical development of preventive vaccines in Latin American countries.